Gym and juice devotee or laid back sporadic elliptical user, you could all use a weekend away to go back to your workout roots and sweat the way you did as a kid at camp – with a smile on your face. 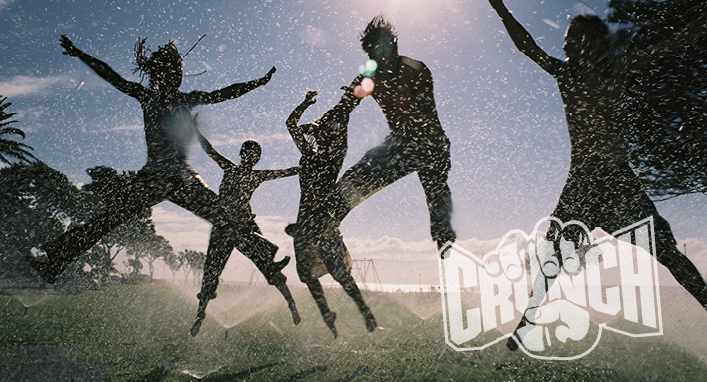 So grab the person who needs an adult detox most, and pair up for a creative, purely fun weekend with Crunch Fitness, for a weekend that will jump start your adult body and your childlike spirit. Together with Crunch Fitness, one of the most innovative names in the fitness industry, you and your partner in crime will run around Connecticut farmland doing fun fitness circuits, hiking, horseback riding, drum pound, a blowout dance party (would it be camp without one?) and partner yoga that will laugh the stress right out of you. Crunch’s “no judgments” philosophy makes this trip right for anyone looking to be active, decompress and have fun. The bonus to being an adult? For starters, your bunk is an imaginative luxury cottage dreamed up by Winvian Resort & Spa, a Relais & Chateaux property; the bug juice by the bonfire has been replaced with world-class wine; peanut butter and jelly doesn’t count as meals unless resident chef, Chris Eddy, has made the condiments from scratch using what’s growing on property and added his own special twist of course; and “crack and egg on your head, let the yoke drip down” is now an actual massage.